My babe! This ride is just fab and you really need to get yourself to Kolmarden just for this. Wildfire ticks all the boxes for me. The inverted zero G stall element is my favourite part of the ride, quite simply for the fact I was like “What the hell? !” when I first rode it. The ride has everything you need for a thrilling coaster that is fun for all the family and I think the on-ride photo above proves that! This used to my all time favourite woodie before Wildfire came along, but you cannot deny that this is still a favourite among the theme park community. I heard great things about this before I even ventured to Toverland in 2013 and yep, it did not disappoint. The sheer speed of the ride is enough to keep me wanting more – especially if its a hot day. Awwww, Tomahawk was a beaut to ride. I can’t really explain why I prefer this over Stampida. I think it’s the fact that the ride is so fun to ride and you got some real good airtime! Joris is another favourite of mine, not quite at the same level of Troy and Wildfire in my opinion but I won’t turn down a ride on it when visiting Efteling. For some people, they do rate Joris over Troy. For me, Joris is more family orientated and with the racing element, it adds to the fun of the ride – especially when you are on the winning train! Grona Lund is insane enough with the whole compact nature of the park but Twister… Despite the fact that it doesn’t look like much, I really enjoyed the ride! Don’t be deceived into thinking it won’t be thrilling because of how small it is, honestly it is worth the queue! Plus, you might find a few recognisable images of woodies in the queue line. Go to Fun Spot on a quiet day and you can just re-ride White Lightning. Those bunny hops give you plenty of airtime – like seriously. I honestly would return to Fun Spot just to ride White Lightning again. 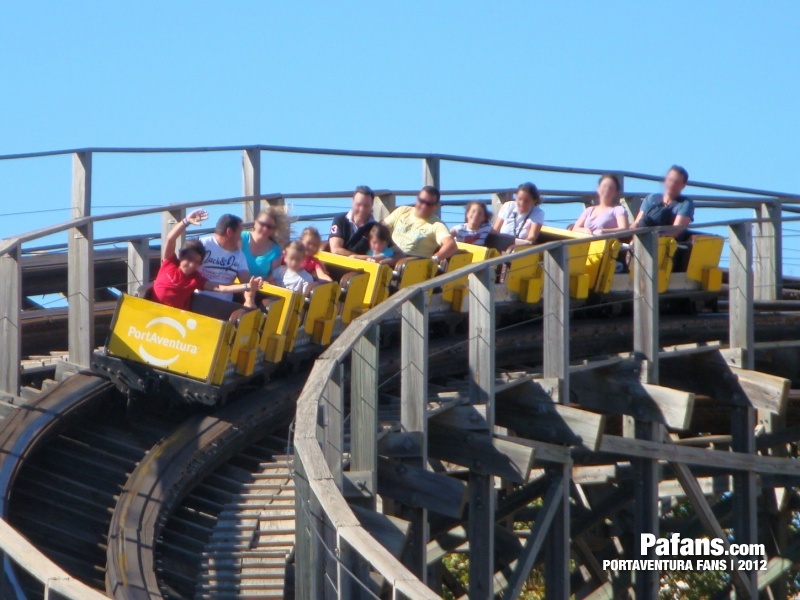 Okay, I have to say that I have ridden Wodan when it was running ‘slow’ and didn’t rate it highly. However, like with all coasters, when they have been operating for the whole day and if it’s been a hot day, Wodan pretty much packs a punch. I didn’t think it was going to show me that it can be just as good as Troy but it did. Don’t judge the ride if your first ride is slow, wait until the end of the day and it may just surprise you! Probably one of the most iconic woodies we have in the UK (or Wales to be exact) at the moment. I can now see why all the geeks rave about this ride, especially as John Wardley designed it too! Back row is insane on the ride, I just wish it was closer to home so we could all give it more love. Despite not being a huge lover of woodies, I have ridden a few that have shown me that they can be fun and thrilling. Maybe my early memories of Gwazi put me off for a while! Here’s to next weekend where I get the chance to ride The Wicker Man. Hope to see a few of you there!